WASHINGTON: Republican lawmakers on Tuesday launched investigations to examine several of President Donald Trump's longstanding political grievances, including the FBI probe of Hillary Clinton's emails and her alleged role in a sale of U.S. uranium to a Russian firm. House Judiciary Committee Chairman Bob Goodlatte and House Oversight Committee Chairman Trey Gowdy announced a probe to address "outstanding questions" about why former Federal Bureau of Investigation Director James Comey publicly disclosed the bureau's investigation of Clinton but never disclosed one into Trump's associates in the 2016 presidential campaign. "These investigations were initiated on a partisan basis, and will shed no light on Russia's interference in the 2016 election, but then again they are not intended to do so," Representative Adam Schiff, the ranking Democrat on the House Intelligence Committee, said Tuesday in a statement. Instead, said Schiff, "they are designed to distract attention and pursue the President's preferred goal – attacking Clinton and Obama." Republicans in Congress also are investigating whether officials in former President Barack Obama's administration spied on Trump's campaign and whether Russians helped pay for a dossier on Trump commissioned by Fusion GPS, an opposition research firm. So far, there is no evidence to support either allegation. 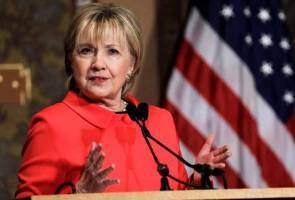 Clinton was Trump's Democratic rival in the 2016 U.S. presidential election and faced questions about her handling of classified material after it became public that she used a private email server in her home for some of her correspondence. Since winning the presidential vote last year, Trump has been beset by questions about Russian efforts to manipulate the U.S. election and whether any of his campaign advisers, some of whom had contacts with Russian officials, were involved. The Republican leaders of the House intelligence and oversight committees on Tuesday announced another new probe, this one into an Obama-era deal in which a Russian company bought a Canadian firm that owned some 20 percent of U.S. uranium supplies. The Republican lawmakers said they want to know if the transaction was fully investigated by the FBI and other agencies before a panel that oversees foreign investment in U.S. strategic assets approved it. Representative Peter King said he sent a letter to then-Treasury Secretary Timothy Geithner raising "very, very real concerns about why we would allow a Russian-owned company to get access to 20 percent of America's uranium supply." Some Republicans have said Hillary Clinton's State Department approved the deal after her husband's charitable foundation received a $145 million donation. But the State Department has only one seat on the panel that approved the transaction, and the New York Times has reported that Clinton did not participate in the decision. All the new investigations address longstanding Trump grievances. The president complained late last week that the news media have ignored the uranium deal while focusing on whether any of his campaign aides colluded with Russia. "That's your real Russia story," he said. "Not a story where they talk about collusion and there was none. It was a hoax." Trump also charged in a Twitter note last week that former FBI Director James Comey had exonerated Clinton long before the bureau's investigation of her had been completed. "Obviously a fix? Where is Justice Dept?" he wrote. After first clearing Clinton in the email probe, Comey announced 11 days before the election that the FBI had begun investigating a newly discovered batch of Clinton emails. Clinton has said Comey's letter to Congress on the issue tilted the race to Trump.